How Are You Responding to it? Or What is Your reaction? Yet another time/day for IWSG post! Those who are not aware about this wonderful group, a word of introduction is very necessary at this time! 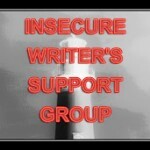 We the members of I W S G (Insecure Writers Support Group) post the first Wednesday of every month our fears, insecurity, thinking, doubts, questions answers, suggestions etc. all related to writing. Most of the group members are blog authors or writers in different fields. We help each other by asking questions from the field of writing.Even the well-established authors sometimes feel insecurity. For such situation this is the secured place to share their burden to find some sort of solution to their fear/insecurity. You can ask your doubts, questions etc in relation to writing . There are people to help you out at IWSG. That is the specialty of this group. Indeed it has been a great blessing to many of the members here. In short this idea is the brain child of the Sci-Fi writer Alex J. Cavanaugh. to help out his fellow bloggers/authors. Today’s wonderful co-hosts are Sheena-kay Graham, Julie Musil,Jamie Ayres, and Mike Swift. Please be sure to visit their pages. Also the group have an informative and lovely page at Facebook. Don’t forget to visit and join in the page! Facebook Group. We the bloggers’ or for that matter any writers’ of any kind expect feedback from our readers. There is no doubt about this! It’s a universal fact that writers expect comments/feedbacks from their readers! Even the well-established authors look out for some kind of response from their readers. Though some may not accept this fact openly that is a fact. Indeed, every one opt for some kind of appreciation or feedback from their readers. Sometimes these feedbacks are very nasty or very negative ones! Of course major ones may be positive or a highly praising ones. Whatever it is, writers always expect some kind of feedbacks especially the blog authors always look or check out their comment boxes to see if anyone commented! Here is a CAUTION: Whether it is positive or negative comment, we need to address or respond to it that is a common courtesy. But unfortunately some of our friends/authors take it lightly and just ignore it. In the recent past I have notice some good blog owners who comments back or respond to their readers very promptly with all required details in their comments. I am sure in this busy world, writing blogs and responding to their readers’ comments in a detailed way is a bit difficult task, but yet there are some blog authors very religiously respond to each and every feedback they receive in their comment boxes. This is a good practice and we need to do it systematically. I am sure this will definitely increase our writing ability as well as to build a good relationship with the readers, and ha of course the traffic flow too will increase by these continuous process of communication. I would like to introduce or tell about few such wonderful bloggers to my readers in one of my future blogs. Their dedication to respond their reader’s response made them real authors in the sea of blogging world. Commenting to blog post and responding back to that comments is the key word for the day. Let us make it a point to read each ones page and find time to post a constructive comment there. Surely most of them respond back and that will also be a great help to go further in our writing job. Wish You All A Happy IWSG DAY !!! 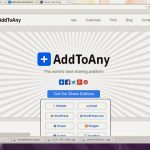 Blog Followers Your Attention Please!!! put in to process the page this way. Thanks Rejoy for your precious time. HI Philip, I think this is a fantastic idea of the group for posting all your fears and tribulations. Great information. Thanks for sharing. someone be advised to write? do i know athing or two that the world needs to know from me? well there are innumerable such questions which generate and perpetuate insecurity.now your group may do good job resolving such problems.that should be great job indeed. Sorry, I missed this comment! Responding to comments shows some sort of responsibility. It gives credibility to the blog. However, many bloggers never get to respond or they respond lately. If this happens consistently, the blog would be missing out on targeted traffic and conversion. So, responding to comments on time should be an asset to the blogger. Nevertheless, there should be a filter for spam comments. By the way, my interest has been pricked on the IWSG (Insecure Writers Support Group). Hope to know more about it and see if I can joining! Common courtesy whether you agree or disagree but everyone doesn’t follow suit. I enjoy reading how the author responds to negative comment. Responding with your point of view regardless of the way the commentor comes across is something I pay attention too. 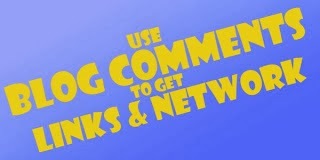 Commenting is important for bloggers and I don’t think enough of newbies focus on this much but should. Every blog owners value engagement and it our responsibilities to respond to visitors comment be it POSITIVE OR NEGATIVE. I have seen alot of bloggers who refused to approve my comment because of the critics, something i do advice the blog editor to kindly approve my comment irrespective of the critics. Hello Philip, I do agree it is common courtesy to respond to any comments that come to you whether they are positive or negative. I know sometimes it can be hard to respond to a negative comment but you need to do it. Everyone has a right to their opinions Right? I loved this idea of your group, if I wasnt so darn busy I would check it out, but I know I could not give it all..
Not only responsiblity Sunday, it gives a sense of belonging to the readers and also shows you appreciate them and that you give out the post to make them happy..
And yes so many bloggers donâ€™t get to reply to comments, it kills a blog as a commenter will feel you have got no time for your readers..
Replying to comments also creates a kind of bond or relationship which most people crave..